A new study indicates that nearly 40 percent of all users fail to update the software on their computers when initially prompted to do so while approximately one quarter of those surveyed said despite the warnings and headlines prompting them to do so they still don’t clearly understand what software updates do. The new survey that was co-sponsored by Microsoft's Skype division asked American, British and German consumers if and when they were more likely to install critical software updates. Shockingly even though they received notifications on their computers telling them to update their software, more than half said they needed to see a prompt between two and five times before downloading and installing an update. Even for those consumers who recognized the benefits of upgrading, one quarter didn’t know how to check if their installed software even needs updating. 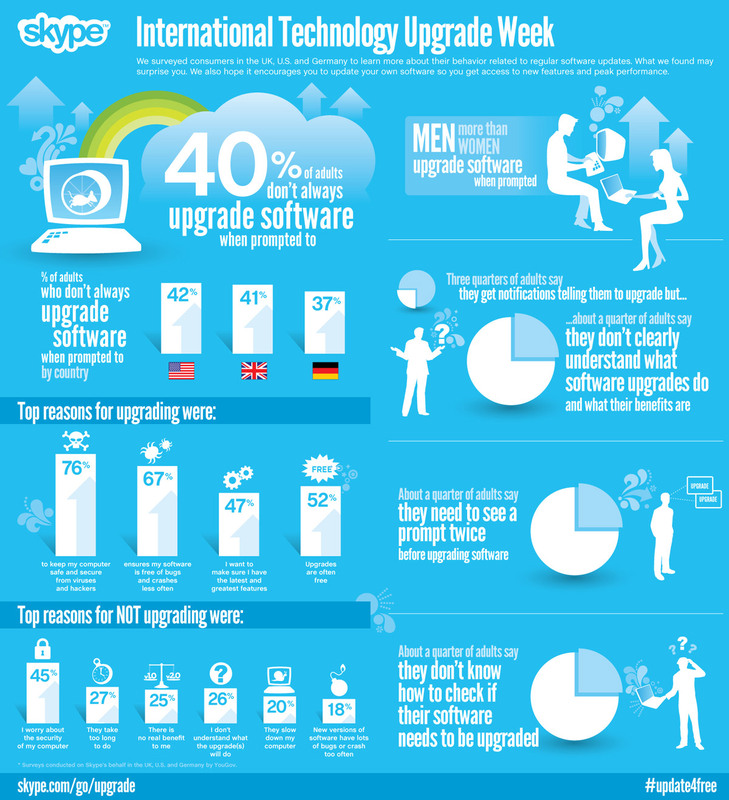 The results of the study shows that a lot of folks don't quickly update their software when prompted to do so or fail to do so completely. 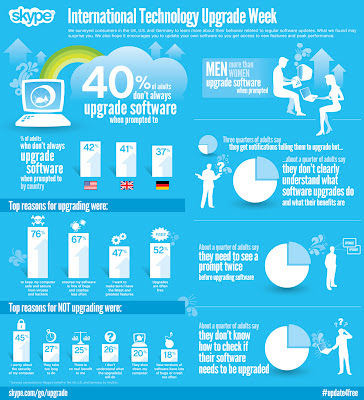 This prompted the creation of a global initiative dubbed International Technology Upgrade Week (ITUW) with Skype teaming with Adobe, Symantec and TomTom to encourage consumers to regularly download free software updates to their computers, smartphones, tablets and other portable devices, like GPS units.